This ethereal scene captured by NASA’s New Horizons spacecraft tells yet another story of Pluto’s diversity of geological and compositional features—this time in an enhanced color image of the north polar area. A shallow, winding valley (in blue) runs the entire length of the canyon floor. To the east of these canyons, another valley (pink) winds toward the bottom-right corner of the image. The nearby terrain, at bottom right, appears to have been blanketed by material that obscures small-scale topographic features, creating a ‘softened’ appearance for the landscape. 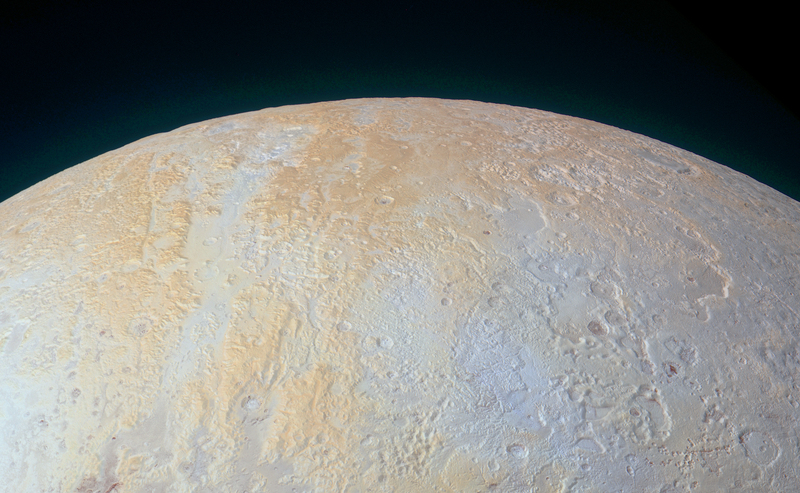 This image was obtained by New Horizons’ Ralph/Multispectral Visible Imaging Camera (MVIC). The image resolution is approximately 2,230 feet (680 meters) per pixel. The lower edge of the image measures about 750 miles (1,200 kilometers) long. It was obtained at a range of approximately 21,100 miles (33,900 kilometers) from Pluto, about 45 minutes before New Horizons’ closest approach on July 14, 2015. Large, irregularly-shaped pits (in red), reach 45 miles (70 kilometers) across and 2.5 miles (4 kilometers) deep, scarring the region. These pits may indicate locations where subsurface ice has melted or sublimated from below, causing the ground to collapse. The color and composition of this region – shown in enhanced color – also are unusual. 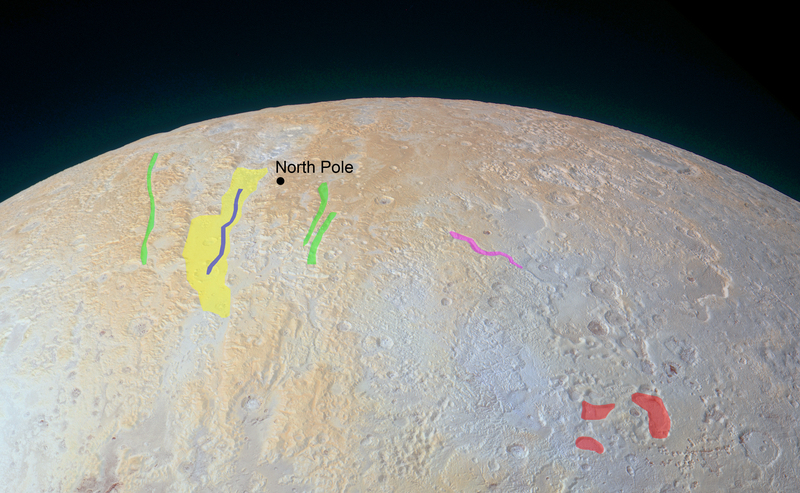 High elevations show up in a distinctive yellow, not seen elsewhere on Pluto. The yellowish terrain fades to a uniform bluish gray at lower elevations and latitudes. New Horizons' infrared measurements show methane ice is abundant across Lowell Regio, and there is relatively little nitrogen ice. “One possibility is that the yellow terrains may correspond to older methane deposits that have been more processed by solar radiation than the bluer terrain,” said Will Grundy, New Horizons composition team lead from Lowell Observatory, Flagstaff, Arizona. 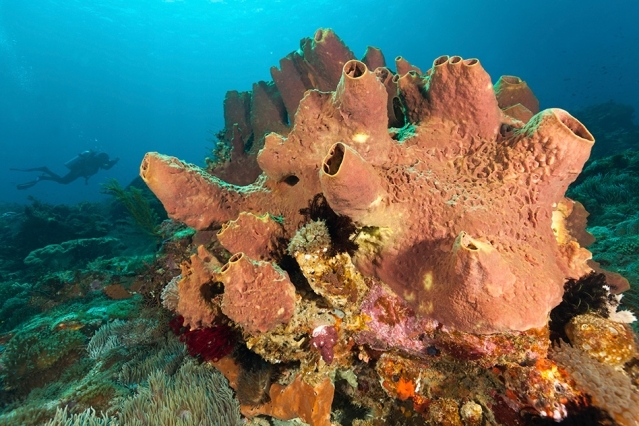 Their results provide strong evidence that sea sponges appeared on Earth 640 million years ago, much earlier than any other animal life form. Researchers at the Massachusetts Institute of Technology (MIT) have now demonstrated just such a technology: the thinnest, lightest solar cells ever produced. Though it may take years to develop into a commercial product, the laboratory proof-of-concept shows a new approach to making solar cells that could help power the next generation of portable electronic devices. 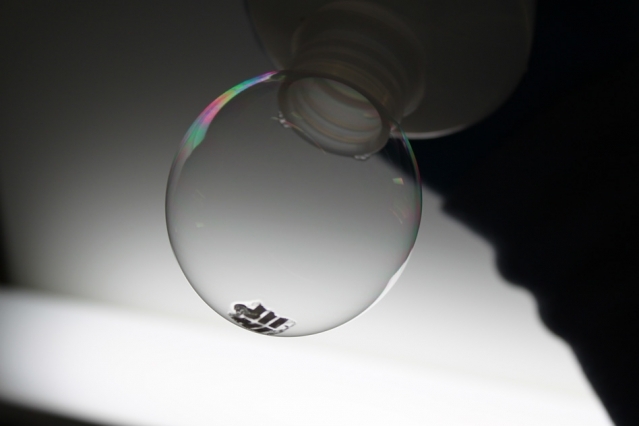 The MIT team has achieved the thinnest and lightest complete solar cells ever made, they say. 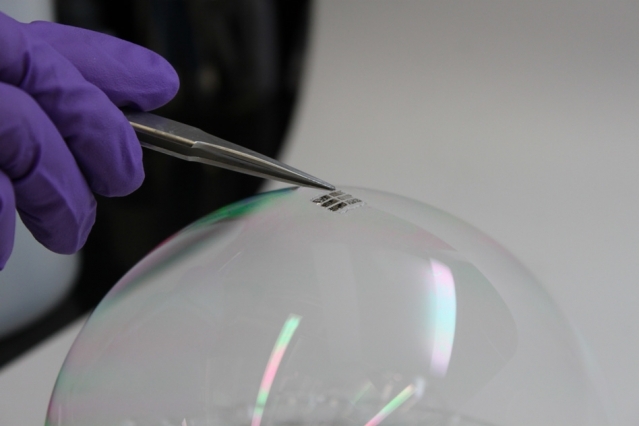 To demonstrate just how thin and lightweight the cells are, the researchers draped a working cell on top of a soap bubble, without popping the bubble. The new process is described in a paper by MIT professor Vladimir Bulovi, research scientist Annie Wang, and doctoral student Joel Jean, in the journal Organic Electronics. Bulovi, MIT's associate dean for innovation and the Fariborz Maseeh (1990) Professor of Emerging Technology, says the key to the new approach is to make the solar cell, the substrate that supports it, and a protective overcoating to shield it from the environment, all in one process. The substrate is made in place and never needs to be handled, cleaned, or removed from the vacuum during fabrication, thus minimizing exposure to dust or other contaminants that could degrade the cell's performance. "The innovative step is the realization that you can grow the substrate at the same time as you grow the device," Bulovi says. "We put our carrier in a vacuum system, then we deposit everything else on top of it, and then peel the whole thing off," explains Wang. Bulovi says that like most new inventions, it all sounds very simple -- once it's been done. But actually developing the techniques to make the process work required years of effort. "It could be so light that you don't even know it's there, on your shirt or on your notebook," Bulovi says. "These cells could simply be an add-on to existing structures." Still, this is early, laboratory-scale work, and developing it into a manufacturable product will take time, the team says. Yet while commercial success in the short term may be uncertain, this work could open up new applications for solar power in the long term. "We have a proof-of-concept that works," Bulovi says. The next question is, "How many miracles does it take to make it scalable? We think it's a lot of hard work ahead, but likely no miracles needed." Immediately after its 2008 launch, NASA's Interstellar Boundary Explorer, or IBEX, spotted a curiosity in a thin slice of space: More particles streamed in through a long, skinny swath in the sky than anywhere else. The origin of the so-called IBEX ribbon was unknown - but its very existence opened doors to observing what lies outside our solar system, the way drops of rain on a window tell you more about the weather outside. 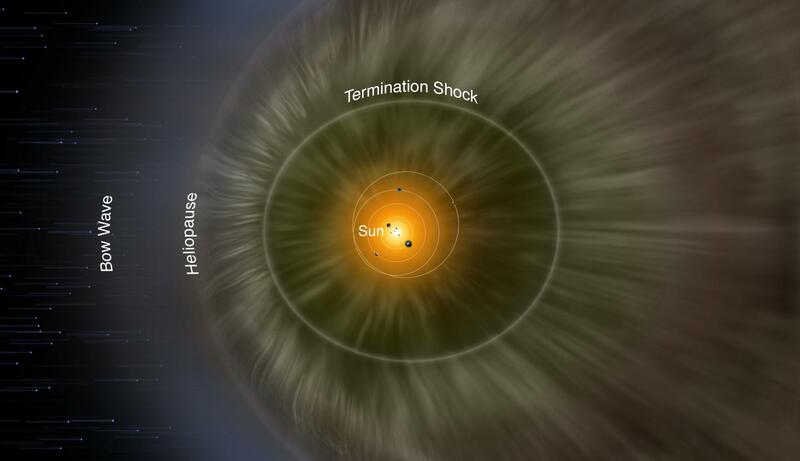 Now, a new study uses IBEX data and simulations of the interstellar boundary - which lies at the very edge of the giant magnetic bubble surrounding our solar system called the heliosphere - to better describe space in our galactic neighborhood. Artist concept: Far beyond the orbit of Neptune, the solar wind and the interstellar medium interact to create a region known as the inner heliosheath, bounded on the inside by the termination shock, and on the outside by the heliopause. The paper, published Feb. 8, 2016, in Astrophysical Journal Letters, precisely determines the strength and direction of the magnetic field outside the heliosphere. Such information gives us a peek into the magnetic forces that dominate the galaxy beyond, teaching us more about our home in space. The new paper is based on one particular theory of the origin of the IBEX ribbon, in which the particles streaming in from the ribbon are actually solar material reflected back at us after a long journey to the edges of the sun's magnetic boundaries. A giant bubble, known as the heliosphere, exists around the sun and is filled with what's called solar wind, the sun's constant outflow of ionized gas, known as plasma. When these particles reach the edges of the heliosphere, their motion becomes more complicated. 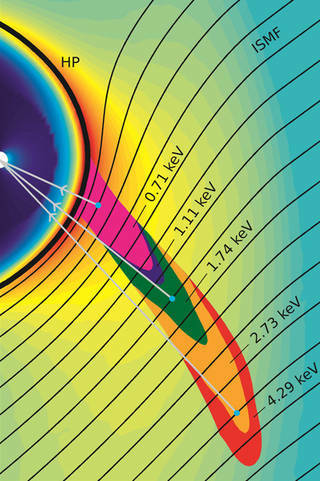 This simulation shows the origin of ribbon particles of different energies or speeds outside the heliopause (labeled HP). The IBEX ribbon particles interact with the interstellar magnetic field (labeled ISMF) and travel inwards toward Earth, collectively giving the impression of a ribbon spanning across the sky. "The theory says that some solar wind protons are sent flying back towards the sun as neutral atoms after a complex series of charge exchanges, creating the IBEX ribbon," said Eric Zirnstein, a space scientist at the Southwest Research Institute in San Antonio, Texas, and lead author on the study. "Simulations and IBEX observations pinpoint this process - which takes anywhere from three to six years on average - as the most likely origin of the IBEX ribbon." Outside the heliosphere lies the interstellar medium, with plasma that has different speed, density, and temperature than solar wind plasma, as well as neutral gases. These materials interact at the heliosphere's edge to create a region known as the inner heliosheath, bounded on the inside by the termination shock - which is more than twice as far from us as the orbit of Pluto - and on the outside by the heliopause, the boundary between the solar wind and the comparatively dense interstellar medium. Some solar wind protons that flow out from the sun to this boundary region will gain an electron, making them neutral and allowing them to cross the heliopause. Once in the interstellar medium, they can lose that electron again, making them gyrate around the interstellar magnetic field. If those particles pick up another electron at the right place and time, they can be fired back into the heliosphere, travel all the way back toward Earth, and collide with IBEX's detector. The particles carry information about all that interaction with the interstellar magnetic field, and as they hit the detector they can give us unprecedented insight into the characteristics of that region of space. "Only Voyager 1 has ever made direct observations of the interstellar magnetic field, and those are close to the heliopause, where it's distorted," said Zirnstein. "But this analysis provides a nice determination of its strength and direction farther out." The IBEX ribbon is a relatively narrow strip of particles flying in towards the sun from outside the heliosphere. A new study corroborates the idea that particles from outside the heliosphere that form the IBEX ribbon actually originate at the sun – and reveals information about the distant interstellar magnetic field. For the recent study, such observations were used to seed simulations of the ribbon's origin. Not only do these simulations correctly predict the locations of neutral ribbon particles at different energies, but the deduced interstellar magnetic field agrees with Voyager 1 measurements, the deflection of interstellar neutral gases, and observations of distant polarized starlight. However, some early simulations of the interstellar magnetic field don't quite line up. Those pre-IBEX estimates were based largely on two data points - the distances at which Voyagers 1 and 2 crossed the termination shock. "Voyager 1 crossed the termination shock at 94 astronomical units, or AU, from the sun, and Voyager 2 at 84 AU," said Zirnstein. One AU is equal to about 93 million miles, the average distance between Earth and the sun. "That difference of almost 930 million miles was mostly explained by a strong, very tilted interstellar magnetic field pushing on the heliosphere." "Scientists in the field are developing more sophisticated models of the time-dependent solar wind," said Zirnstein. "The new findings can be used to better understand how our space environment interacts with the interstellar environment beyond the heliopause," said Eric Christian, IBEX program scientist at NASA's Goddard Space Flight Center in Greenbelt, Maryland, who was not involved in this study. "In turn, understanding that interaction could help explain the mystery of what causes the IBEX ribbon once and for all." The Southwest Research Institute leads IBEX with teams of national and international partners. NASA Goddard manages the Explorers Program for the agency's Heliophysics Division within the Science Mission Directorate in Washington. Astronomers have discovered a spectacular tail of gas more than 300,000 light years across coming from a nearby galaxy. The plume is made up of hydrogen gas--the material new stars are made of--and is five times longer than the galaxy itself. The foreground galaxy is NGC 4569 of the Virgo cluster. The red filaments to the right of the galaxy show the hydrogen gas that has been removed. The tail represents about 95 per cent of the gas reservoir the galaxy needs to feed the formation of new stars. The discovery was made by an international team of scientists led by Dr Alessandro Boselli at the Laboratoire d'Astrophysique de Marseille in France, and published in the journal Astronomy & Astrophysics. 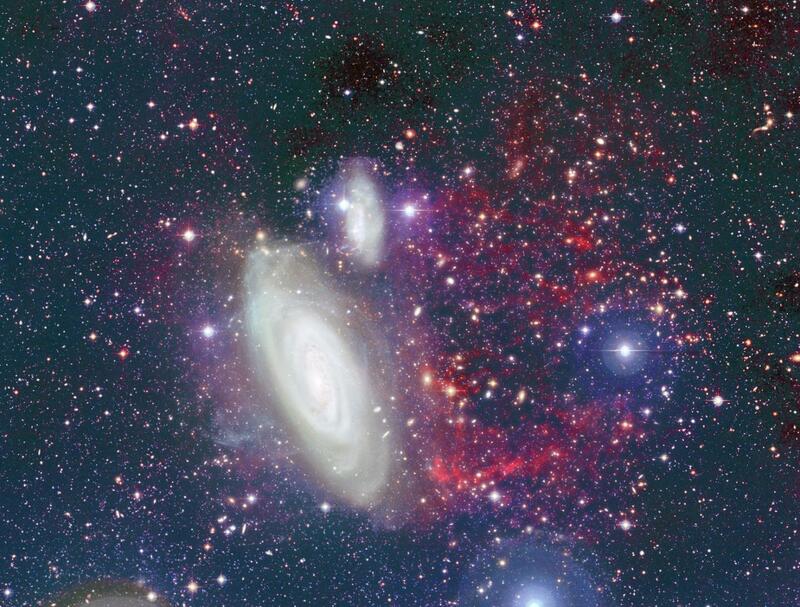 International Centre for Radio Astronomy Research astrophysicist Luca Cortese, who is part of the research team, said scientists noticed long ago that the galaxy NGC 4569 contained less gas than expected but they could not see where it had gone. "We didn't have the smoking gun, the clear evidence of direct removal of gas from the galaxy," he said. "Now, with these observations, we've seen a huge amount of gas that creates a stream trailing behind the galaxy for the first time. "What's very nice is that if you measure the mass of the stream, it's the same amount of gas that is missing from the galaxy's disc." NGC 4569 sits in the Virgo cluster, a group of galaxies 55 million light years from our own Milky Way. It is travelling through the cluster at about 1200 kilometres a second, and Dr Cortese said it is this movement that is causing the gas to be stripped from the galaxy. "We know that big clusters of galaxies trap a lot of hot gas," he said. "So when a galaxy enters the cluster it feels the pressure of all the gas, like when you feel the wind on your face, and that pressure is able to strip matter away from the galaxy." The discovery was made when the research team used a super-sensitive camera on the Canada France Hawaii Telescope to observe NGC 4569 for longer than ever before. Dr Cortese said it could be the first of many galaxies found to have long tails of gas extending from them. "It's pretty exciting because this was just a pilot and we only targeted the brightest spiral galaxy in the Virgo cluster," he said. "We were amazed by what we got... this is really promising because it means it's very likely we'll find similar features in many other galaxy clusters." A pregnant Brazilian woman infected with the Zika virus had a stillborn baby in January who had signs of severe tissue swelling as well as central nervous system defects that caused the cerebral hemispheres of the brain to be absent. It is the first report to indicate a possible association of congenital Zika virus and damage to tissues outside the central nervous system. "These finding raise concerns that the virus may cause severe damage to fetuses leading to stillbirths and may be associated with effects other than those seen in the central nervous system," said Ko, chair of the Department of Epidemiology of Microbial Diseases, who has worked on the Zika outbreak in the coastal city of Salvador with Brazilian colleagues since shortly after the first cases of the mosquito-borne virus were reported there in early 2015. "Additional work is needed to understand if this is an isolated finding and to confirm whether Zika virus can actually cause hydrops fetalis." The patient, a 20-year-old woman, was having a normal pregnancy during her first trimester. That changed abruptly during the course of the 18th week of pregnancy, when an ultrasound examination discovered that the fetus' weight was well below where it should have been at that point. Textiles found at Timna Valley archaeological dig by Tel Aviv University researchers provide a colorful picture of a complex society during the time of Kings David and Solomon. The ancient copper mines in Timna are located deep in Israel's Arava Valley and are believed by some to be the site of King Solomon's mines. The arid conditions of the mines have seen the remarkable preservation of 3,000-year-old organic materials, including seeds, leather and fabric, and other extremely rare artifacts that provide a unique window into the culture and practices of this period. A fine wool textile dyed red and blue, found at Timna. The textile used the various colors of natural animal hair to create black and orange-brown colors for decorative bands. Photo by Clara Amit, courtesy of the Israel Antiquities Authority. A Timna excavation team from Tel Aviv University led by Dr. Erez Ben-Yosef has uncovered an extensive fabric collection of diverse color, design and origin. This is the first discovery of textiles dating from the era of David and Solomon, and sheds new light on the historical fashions of the Holy Land. The textiles also offer insight into the complex society of the early Edomites, the semi-nomadic people believed to have operated the mines at Timna. The tiny pieces of fabric, some only 5 x 5 centimeters in size, vary in color, weaving technique and ornamentation. "Some of these fabrics resemble textiles only known from the Roman era," said Dr. Orit Shamir, a senior researcher at the Israel Antiquities Authority, who led the study of the fabrics themselves. "No textiles have ever been found at excavation sites like Jerusalem, Megiddo and Hazor, so this provides a unique window into an entire aspect of life from which we've never had physical evidence before," Dr. Ben-Yosef said. 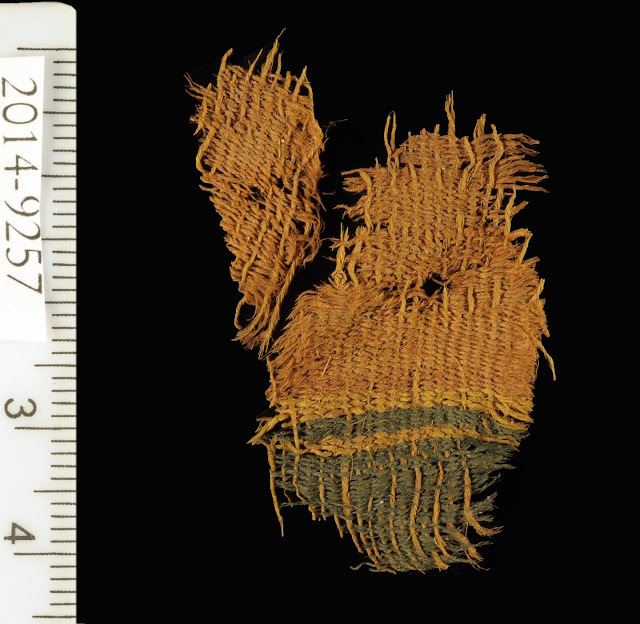 "We found fragments of textiles that originated from bags, clothing, tents, ropes and cords. "The wide variety of fabrics also provides new and important information about the Edomites, who, according to the Bible, warred with the Kingdom of Israel. We found simply woven, elaborately decorated fabrics worn by the upper echelon of their stratified society. Luxury grade fabric adorned the highly skilled, highly respected craftsmen managing the copper furnaces. They were responsible for smelting the copper, which was a very complicated process." A trove of the "Seven Species"
The archaeologists also recently discovered thousands of seeds of the Biblical "Seven Species" at the site — the two grains and five fruits considered unique products of the Land of Israel. Some of the seeds were subjected to radiocarbon dating, providing robust confirmation for the age of the site. "This is the first time seeds from this period have been found uncharred and in such large quantities," said Dr. Ben-Yosef. "With the advancement of modern science, we now enjoy research options that were unthinkable a few decades ago. We can reconstruct wine typical of King David's era, for example, and understand the cultivation and domestication processes that have been preserved in the DNA of the seed." Copper was used to produce tools and weapons and was the most valuable resource in ancient societies. Its production required many levels of expertise. Miners in ancient Timna may have been slaves or prisoners — theirs was a simple task performed under difficult conditions. But the act of smelting, of turning stone into metal, required an enormous amount of skill and organization. The smelter had to manage some 30 to 40 variables in order to produce the coveted copper ingots. "The possession of copper was a source of great power, much as oil is today," Dr. Ben-Yosef said. "If a person had the exceptional knowledge to 'create copper,' he was considered well-versed in an extremely sophisticated technology. He would have been considered magical or supernatural, and his social status would have reflected this." To support this "silicon valley" of copper production in the middle of the desert, food, water and textiles had to be transported long distances through the unforgiving desert climate and into the valley. The latest discovery of fabrics, many of which were made far from Timna in specialized textile workshops, provides a glimpse into the trade practices and regional economy of the day. "We found linen, which was not produced locally. It was most likely from the Jordan Valley or Northern Israel. The majority of the fabrics were made of sheep's wool, a cloth that is seldom found in this ancient period," said TAU masters student Vanessa Workman. "This tells us how developed and sophisticated both their textile craft and trade networks must have been." "'Nomad' does not mean 'simple,'" said Dr. Ben-Yosef. "This discovery strengthens our understanding of the Edomites as an important geopolitical presence. The fabrics are of a very high quality, with complex designs and beautiful dyes." New supernova observations reveal extended brightness, could help researchers better understand invaluable cosmology tool. Three years after its explosion, a type Ia supernova continues to shine brighter than expected, new research finds. The observations, made with the Hubble Space Telescope and published today in The Astrophysical Journal, suggest that the powerful explosions produce an abundance of a heavy form of cobalt that gives the heat from nuclear decay an extra energy boost. The work could help researchers pinpoint the parents of type Ia supernovae--a type of stellar explosion that is frequently used to measure distances to faraway galaxies--and reveal the mechanics behind these explosions. AMNH researchers make a discovery about the chemical composition of Type Ia supernovae, which may aid in the understanding of how these stars explode—and become the “standard candles” by which we measure the distance of far-off galaxies. "Type Ia supernovae became very important to physics, as a whole, a couple of decades ago when they were used to show that the expansion of the universe is accelerating," said lead author Or Graur, a research associate in the American Museum of Natural History's Department of Astrophysics and a postdoctoral researcher at New York University. "Yet we still do not know exactly what type of star system explodes as a type Ia supernova or how the explosion takes place. A lot of research has gone into these two questions, but the answers are still elusive." Current research indicates that type Ia supernova explosions originate from binary star systems--two stars orbiting one another--in which at least one star is a white dwarf, the dense remains of a star that was a few times more massive than our Sun. The explosion is the result of a thermonuclear chain reaction, which produces a large amount of heavy elements. A Hubble Space Telescope image of galaxy NGC 4424, which is about 50 million light years away, and close-ups of the type Ia supernova the research team observed. In the upper left, the difference in the brightness of the supernova is shown about a year apart. The light that researchers see when a type Ia supernova explodes comes from the radioactive decay of an isotope of nickel (56Ni) into an isotope of cobalt (56Co) and then into a stable isotope of iron (56Fe). Although peak brightness is reached relatively quickly, and most researchers stop watching supernovae after about 100 days past the beginning of the explosion, the light continues to radiate for years. Previous studies predicted that about 500 days after an explosion, researchers should see a sharp drop-off in the brightness of these supernovae, an idea called the "infrared catastrophe." However, no such drop-offs have been observed, so Ivo Seitenzahl, a researcher at the Australian National University and the ARC Centre of Excellence for All-sky Astrophysics and one of the co-authors on the paper, predicted in 2009 that it must be due to the radioactive decay of 57Co. This is a heavier isotope of cobalt with a longer half-life than 56Co, and it is expected to provide an extra energy source that would kick in around two to three years after the explosion. The researchers tested the prediction directly by using the Hubble Space Telescope to observe the type Ia supernova SN 2012cg more than three years after it exploded in the galaxy NGC 4424, which is about 50 million light years away--nearby in astronomical terms. 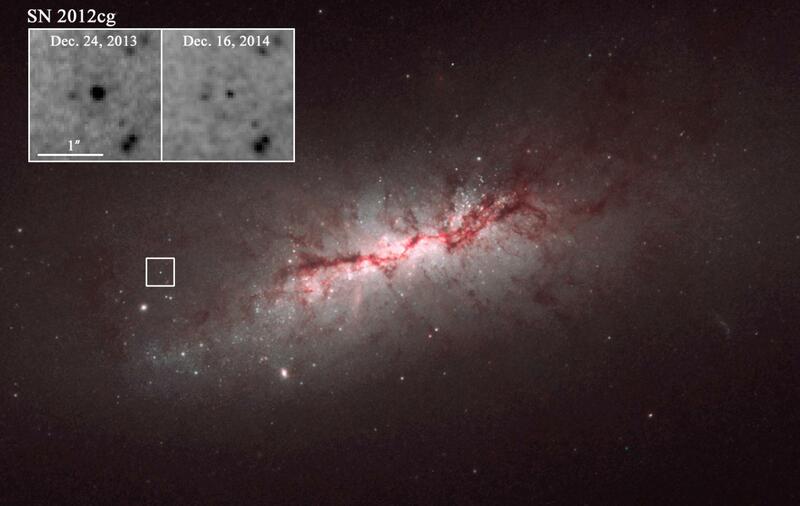 "We saw the supernova's brightness evolve just as Ivo predicted," Graur said. "Interestingly, though, we found that the amount of 57Co needed to produce the observed brightness was about twice the amount expected. These two pieces of information provide fresh constraints on progenitor and explosion models. Stated differently, we now have a new piece in the puzzle that is type Ia supernovae, one of the most important tools in modern cosmology." "When we made our prediction in 2009, I was skeptical whether clues for the presence of 57Co in type Ia supernovae would be observed in my lifetime," Seitenzahl said. "I am absolutely thrilled that now, only seven years later, we are already constraining explosion scenarios based on our measurements." There is one caveat to the results: The excess brightness measured by the researchers could be due to a phenomenon known as a "light echo" instead of 57Co. A light echo happens when light from an explosion interacts with a large dust cloud, which scatters the light in all directions. In that case, light from the explosion would reach Earth twice: once directly from the supernova and then many years later as the result of the echo. To rule out the possibility of the light coming from an echo, more observations will have to be made of type Ia supernovae that are closer to Earth. Other authors on the paper include Michael Shara and David Zurek, American Museum of Natural History; Adam Riess, The Johns Hopkins University and Space Telescope Science Institute; and Armin Rest, Space Telescope Science Institute. The shape of the two electron swarms 600 miles to more than 25,000 miles from the Earth's surface, known as the Van Allen Belts, could be quite different than has been believed for decades, according to a new study of data from NASA's Van Allen Probes that was released Friday in the Journal of Geophysical Research. "The shape of the belts is actually quite different depending on what type of electron you're looking at," said Geoff Reeves of Los Alamos National Laboratory's Intelligence and Space Research Division and lead author on the study. "Electrons at different energy levels are distributed differently in these regions." Learn about the Van Allen Belts and how new findings from NASA's Van Allen Probes could impact how we protect technology in space. Understanding the shape and size of the belts, which shrink and swell in response to magnetic storms coming from the sun, is crucial for protecting our technology in space. The harsh radiation isn't good for satellite's health, so scientists want to know just which orbits could be jeopardized in different situations. Los Alamos has been studying space weather and its effects on national security satellites since the 1960s, when the U.S. launched the Vela satellites to support nuclear treaty verification. Since scientists first began forming a picture of these rings of energetic particles in the 1950s, understanding of their shape has largely remained unchanged--a small, inner belt, a largely empty space known as the slot region, and then the outer belt, which is dominated by electrons and is larger and more dynamic than the others. 1. The traditional idea of the radiation belts includes a larger, more dynamic outer belt and a smaller, more stable inner belt with an empty slot region separating the two. However, a new study based on data from NASA's Van Allen Probes shows that all three regions--the inner belt, slot region, and outer belt -- can appear differently depending on the energy of electrons considered and general conditions in the magnetosphere. 2. At the highest electron energies measured -- above 1 MeV -- researchers saw electrons in the outer belt only. 3. The radiation belts look much different at the lowest electron energy levels measured, about 0.1 MeV. Here, the inner belt is much larger than in the traditional picture, expanding into the region that has long been considered part of the empty slot region. The outer belt is diminished and doesn't expand as far in these lower electron energies. 4. 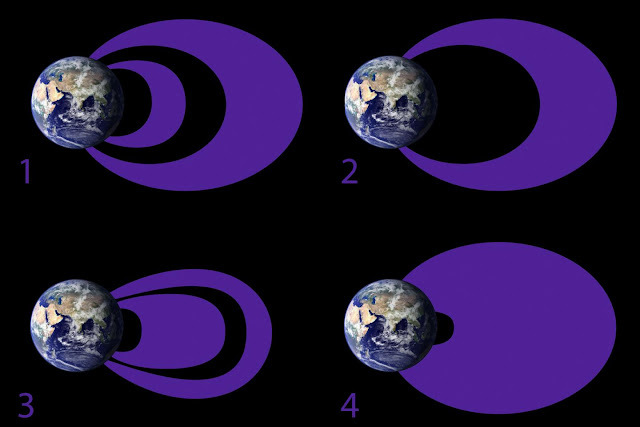 During geomagnetic storms, the empty region between the two belts can fill in completely with lower-energy electrons. Traditionally, scientists thought this slot region filled in only during the most extreme geomagnetic storms happening about once every ten years. However, new data shows it's not uncommon for lower-energy electrons -- up to 0.8 MeV -- to fill this space during almost all geomagnetic storms. "It's like listening to different parts of a song," said Reeves. "The bass line sounds different from the vocals, and the vocals are different from the drums, and so on." The authors of the study, from Los Alamos National Laboratory and the New Mexico Consortium, found that the inner belt--the smaller belt in the classic picture of the belts--is much larger than the outer belt when observing electrons with low energies, while the outer belt is larger when observing electrons at higher energies. At the very highest energies, the inner belt structure is missing completely. So, depending on what one focuses on, the radiation belts can appear to have very different structures simultaneously. These structures are further altered by geomagnetic storms. When high-speed solar wind streams or coronal mass ejections--fast-moving magnetic material from the sun--collide with Earth's magnetic field, they send it oscillating, creating a geomagnetic storm. Geomagnetic storms can increase or decrease the number of energetic electrons in the radiation belts for days to months, though the belts return to their normal configuration after a time. These storm-driven electron increases and decreases are currently unpredictable, without a clear pattern showing what type or strength of storm will yield what outcomes. There's a saying in the space physics community: if you've seen one geomagnetic storm, you've seen one geomagnetic storm. But, it turns out, those observations have largely been based on electrons at only a few energy levels. "When we look across a broad range of energies, we start to see some consistencies in storm dynamics," said Reeves. "The electron response at different energy levels differs in the details, but there is some common behavior. For example, we found that electrons fade from the slot regions quickly after a geomagnetic storm, but the location of the slot region depends on the energy of the electrons." The twin Van Allen Probes satellites expand the range of energetic electron data we can capture. In addition to studying the extremely high-energy electrons--carrying millions of electron volts--that had been studied before, the Van Allen Probes can capture information on lower-energy electrons that contain only a few thousand electron volts. Additionally, the spacecraft measure radiation belt electrons at a greater number of distinct energies than was previously possible. "Previous instruments would only measure five or ten energy levels at a time," said Reeves. "But the Van Allen Probes measure hundreds." "Despite the proton noise, the Van Allen Probes can unambiguously identify the energies of the electrons they're measuring," said Reeves. "You can always tweak a few parameters of your theory to get it to match observations at two or three energy levels," said Reeves. "But having observations at hundreds of energies constrain the theories you can match to observations." The APEX telescope in Chile has mapped the full area of the Galactic Plane visible from the southern hemisphere at submillimetre wavelengths — between infrared light and radio waves. This is the sharpest such map yet made, and complements those from recent space-based surveys. The pioneering 12-metre APEX telescope allows astronomers to study the cold Universe: gas and dust only a few tens of degrees above absolute zero. This video comparison shows the central regions of the Milky Way observed in four different wavelength ranges. The first view shows compact sources of submillimetre radiation detected by APEX as part of the ATLASGAL survey, combined with complementary data from ESA’s Planck satellite, to capture more extended features. The second view shows the same region as seen in shorter, infrared, wavelengths by NASA’s Spitzer Space Telescope as part of the GLIMPSE survey. The third view shows the same part of sky again at even shorter wavelengths, the near-infrared, as seen by ESO’s VISTA infrared survey telescope at the Paranal Observatory in Chile. Regions appearing as dark dust tendrils here show up brightly in the ATLASGAL view. Finally the more familiar view in visible light, when most of the more distant structures are hidden from view, is also included. The new release of ATLASGAL complements observations from ESA's Planck and Herschel satellites . The combination of the Planck and APEX data allowed astronomers to detect emission spread over a larger area of sky and to estimate from it the fraction of dense gas in the inner Galaxy. The ATLASGAL data were also used to create a complete census of cold and massive clouds where new generations of stars are forming. A spectacular new image of the Milky Way has been released to mark the completion of the APEX Telescope Large Area Survey of the Galaxy (ATLASGAL). The APEX telescope in Chile has mapped the full area of the Galactic Plane visible from the southern hemisphere at submillimetre wavelengths — between infrared light and radio waves. The new finely detailed images complement those from recent space-based surveys. The pioneering 12-metre APEX telescope allows astronomers to study the cold Universe: gas and dust only a few tens of degrees above absolute zero. Many of the most prominent objects are named and the parts of the galaxy that are shown in the three slices are indicated at the right. On September 14, 2015, the Laser Interferometer Gravitational-wave Observatory (LIGO) detected gravitational waves from the merger of two black holes 29 and 36 times the mass of the Sun. Such an event is expected to be dark, but the Fermi Space Telescope detected a gamma-ray burst just a fraction of a second after LIGO's signal. New research suggests that the two black holes might have resided inside a single, massive star whose death generated the gamma-ray burst. "It's the cosmic equivalent of a pregnant woman carrying twins inside her belly," says Harvard astrophysicist Avi Loeb of the Harvard-Smithsonian Center for Astrophysics (CfA). On Sept. 14, 2015, LIGO detected gravitational waves from two merging black holes, shown here in this artist's conception. The Fermi space telescope detected a burst of gamma rays 0.4 seconds later. New research suggests that the burst occurred because the two black holes lived and died inside a single, massive star. Fermi detected the burst just 0.4 seconds after LIGO detected gravitational waves, and from the same general area of the sky. However, the European INTEGRAL gamma-ray satellite did not confirm the signal. "Even if the Fermi detection is a false alarm, future LIGO events should be monitored for accompanying light irrespective of whether they originate from black hole mergers. Nature can always surprise us," says Loeb. If more gamma-ray bursts are detected from gravitational wave events, they will offer a promising new method of measuring cosmic distances and the expansion of the universe. By spotting the afterglow of a gamma-ray burst and measuring its redshift, then comparing it to the independent distance measurement from LIGO, astronomers can precisely constrain the cosmological parameters. "Astrophysical black holes are much simpler than other distance indicators, such as supernovae, since they are fully defined just by their mass and spin," says Loeb. "This is an agenda-setting paper that will likely stimulate vigorous follow-up work, in the crucial period after the initial LIGO discovery, where the challenge is to fathom its full implications. If history is any guide, the 'multi-messenger' approach advocated by Loeb, using both gravitational waves and electromagnetic radiation, again promises deeper insight into the physical nature of the remarkable LIGO source," says Volker Bromm of the University of Texas at Austin, commenting independently. Although historically seen as solitary animals, new research being presented here shows sharks may have a more complex social structure than previously thought. 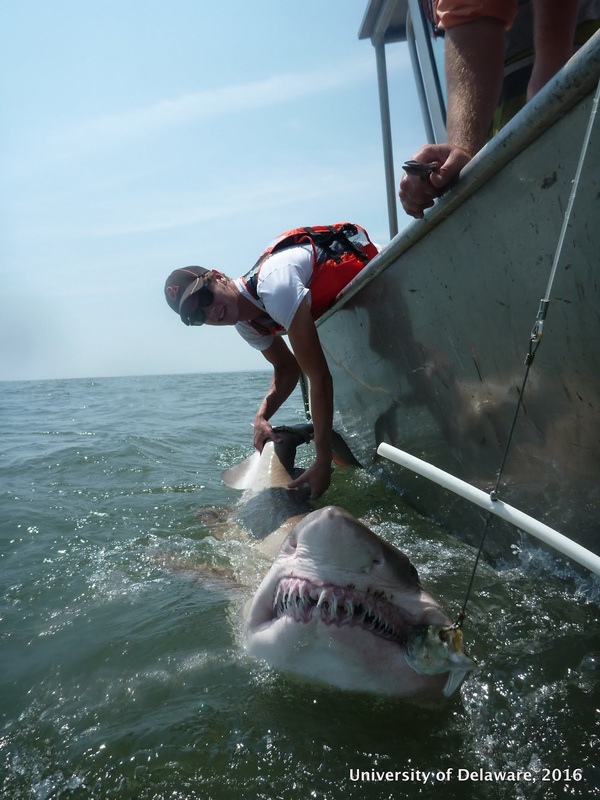 Using tracking devices to trace the movements of individual animals in the open ocean, researchers found that Sand Tiger sharks form complex social networks that are typically seen in mammals but rarely observed in fish. 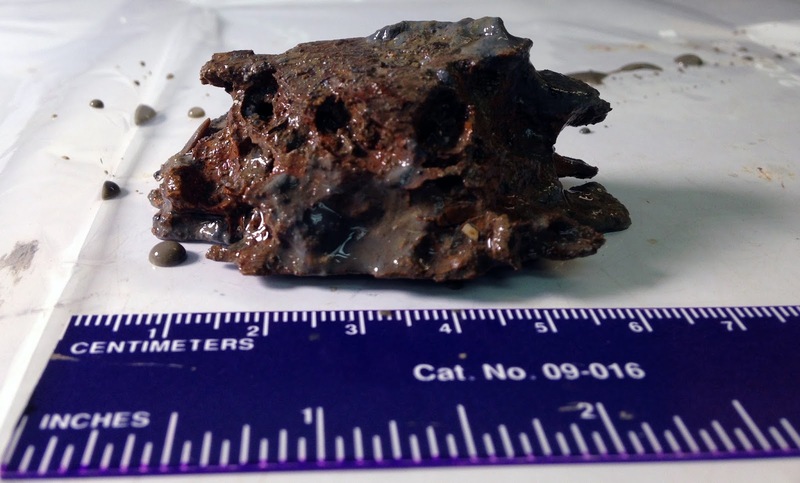 The 2010 Deepwater Horizon oil spill significantly altered microbial communities thriving near shipwrecks in the Gulf of Mexico, potentially changing these diverse ecosystems and degrading the historically and culturally significant ships they live on, according to new research being presented here. 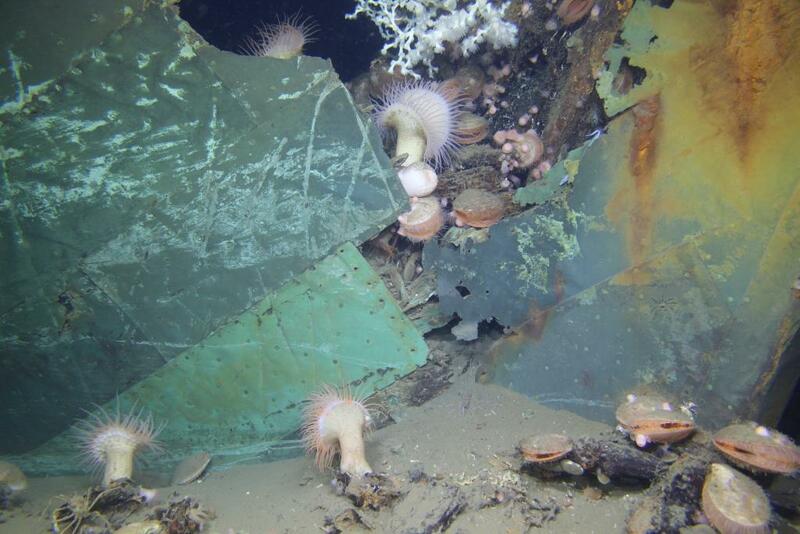 The findings are also revealing how decades-old, or even centuries-old, shipwrecks could be used to monitor the health of deep-ocean ecosystems, and the effects of oil and gas activity in the Gulf, according to the researchers. A 3D laser scan of the stern section of the German U-boat,U-166, that sunk in the Gulf of Mexico during World War II. The scan shows the U-boat’s conning tower and the build-up of sediments around the hull. Scientists will use this data to document changes at the shipwreck sites, including areas of hull collapse or weakening, and other site-formation processes. “We are filling a huge void in our scientific understanding of the impacts of the spill,” said Melanie Damour, a marine archaeologist at the Bureau of Ocean Energy Management in New Orleans, Louisiana, and a co-leader of the project. Bow of the Ewing Bank Wreck, a 19th century wooden-hulled sailing ship that lies in more than 600 meters (2,000 feet) of water. The image shows a close-up view of the copper sheathing attached to the outside of the wooden hull. After the vessel sank, it became a vibrant artificial reef now colonized by Lophelia pertusa coral (white), Venus flytrap anemones, and many other species of macrofauna. 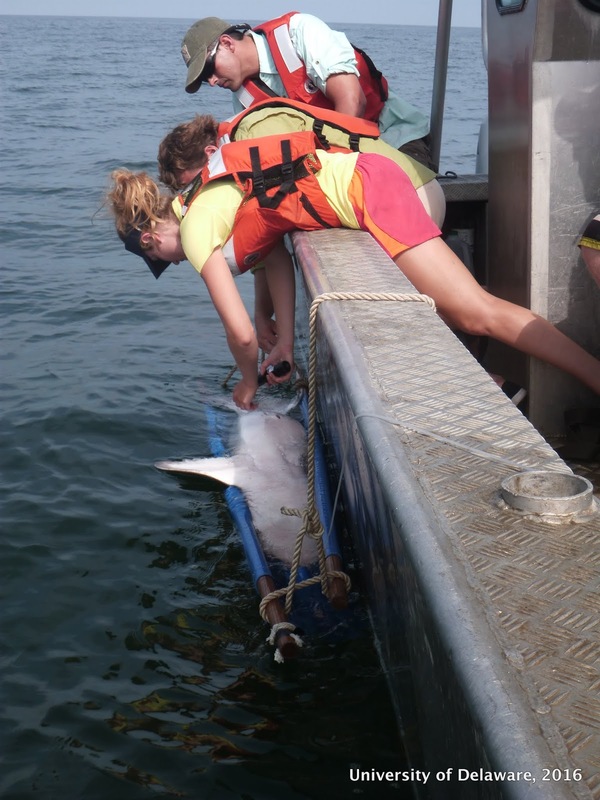 Not only did these studies show that the spill affected these ecosystems, but they also provide a new way to monitor the spill’s effects, said Leila Hamdan, a microbial ecologist at George Mason University in Manassas, Virginia and co-leader of the project. Wood sample collected from the Mardi Gras shipwreck site, which sank some 200 years ago about 56 kilometers (35 miles) off the coast of Louisiana in 1,220 meters (4,000 feet) of water. A wood sample yields important clues about wood species, degradation in the local environment, and potential exposure to hydrocarbons or other contaminants. The new findings show that deep-sea shipwrecks could be used for long-term monitoring of deep-sea ecosystems, according to the researchers. Understanding this unique ecosystem could aid in protecting and conserving it – both the animals that live on the shipwrecks, and the ships themselves, they said. Information about these shipwrecks could also aid scientists who research the deep sea, and companies performing activities there, the researchers said. Published in the journal Proceedings of the National Academy of Sciences (PNAS), this new research examines the genes and immune system of the Australian black flying fox, with surprising results. particular the role of interferons - which are integral for innate immune responses in mammals - to understand what's special about how bats respond to invading viruses. Apple Leftovers Make Better Batteries. A carbon-based active material produced from apple leftovers and a material of layered oxides might help reduce the costs of future energy storage systems. Both were found to have excellent electrochemical properties and stand for the environmentally compatible and sustainable use of resources. The new carbon-based material for sodium-ion batteries can be extracted from apples. Now, researchers of the team of Professor Stefano Passerini and Dr. Daniel Buchholz of the Helmholtz Institute Ulm of Karlsruhe Institute of Technology have made an important step towards the development of active materials for sodium-based energy storage systems. For the negative electrode, a carbon-based material was developed, which can be produced from the leftovers of apples and possesses excellent electrochemical properties. So far, more than 1000 charge and discharge cycles of high cyclic stability and high capacity have been demonstrated. This discovery represents an important step towards the sustainable use and exploitation of resources, such as organic waste. Schematic structure of the layered oxides produced. Citation: “Layered Na-Ion Cathodes with Outstanding Performance Resulting from the Synergetic Effect of Mixed P- and O-type Phases” Advanced Energy Materials, doi: 10.1002/aenm.201501555. 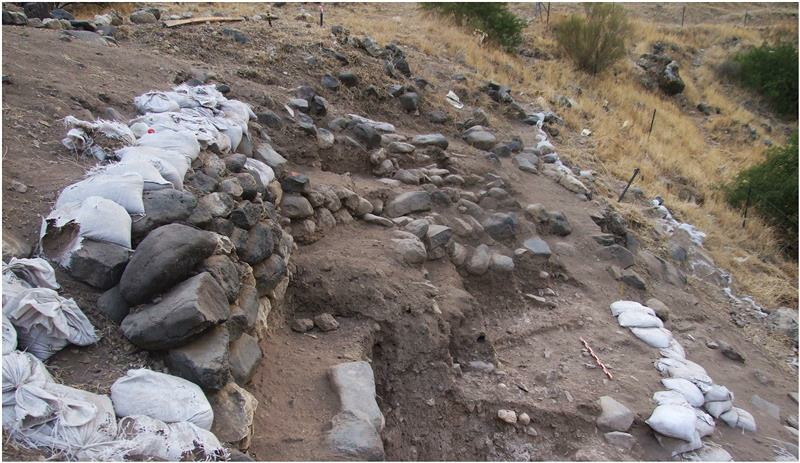 Newly-excavated village in the Jordan Valley sheds light on the historical shift from foraging to agriculture, say Hebrew University of Jerusalem archaeologists. “Although attributes of the lithic tool kit found at NEG II places the site chronologically in the Paleolithic period, other characteristics – such as its artistic tradition, size, thickness of archaeological deposits and investment in architecture – are more typical of early agricultural communities in the Neolithic period,” said Dr. Leore Grosman, from the Institute of Archaeology at The Hebrew University of Jerusalem, who led the excavations. “Characterizing this important period of potential overlap in the Jordan Valley is crucial for the understanding of the socioeconomic processes that marked the shift from Paleolithic mobile societies of hunter-gatherers to Neolithic agricultural communities,” added Dr. Grosman. In a research, published in the journal PLOS ONE, the archeologists described the village as one of the latest settlements in the Levant region of the Late Natufian - the last culture of the Paleolithic period. The Natufian culture (about 15,000-11,500 years B.P.) is known from sites all over the Levant – from the Negev and the Sinai in the south to Syria and Lebanon in the north. NEG II was occupied in the midst of the cold and dry global climatic event known as the Younger Dryas (12,900–11,600 years B.P. ), where temperature declined sharply over most of the northern hemisphere. Affected by climatic changes, Late Natufian groups in the Mediterranean zone became increasingly mobile and potentially smaller in size. 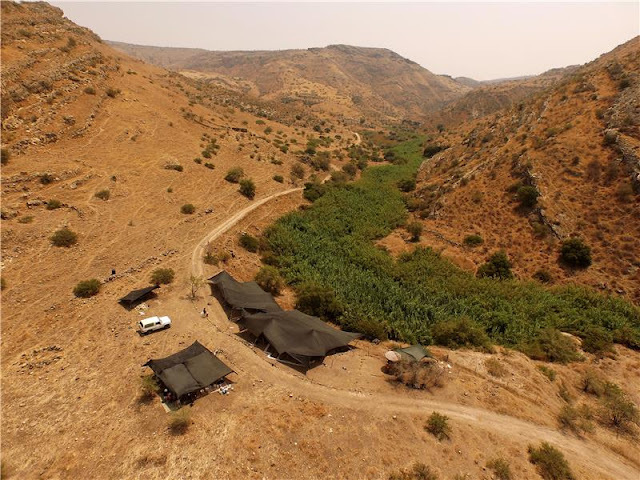 “It is not surprising that at the very end of the Natufian culture, at a suite of sites in the Jordan Valley, that we find a cultural entity that bridges the crossroads between Late Paleolithic foragers and Neolithic farmers,” said Dr. Grosman.